SGPA Architecture and Planning was invited to attend the 2015 Berkeley Design Advocates Awards for Design Excellence in March. The Awards honor projects in the Berkeley community within three categories: Restoration and Re-use, New Construction/Civic Institutions, and Food and Drink. Completed in 2014, the WBHC is also a recipient of the 2014 Preservation Award from the Berkeley Architectural Heritage Association and was nominated for the Governor’s Award for Historic Preservation. A former day care center that once belonged to the school district, this National Historic Register building was designed in 1927 by the architect Walter Ratcliff. The $8 million remodel includes renovation of the existing space and construction of a three-story addition. Meeting LEED Silver criteria, this renovation respects the historic character of the building while increasing capacity by 40%. The West Berkeley facility has expanded from 13 to 27 exam rooms and will now accommodate 10,000 patients a year, up from 6,000. Each floor offers a full family practice where doctors, therapists, and social workers cluster their offices into integrated care pods. A prescription dispensary and a blood center are also located on site to satisfy full-service medical visits. 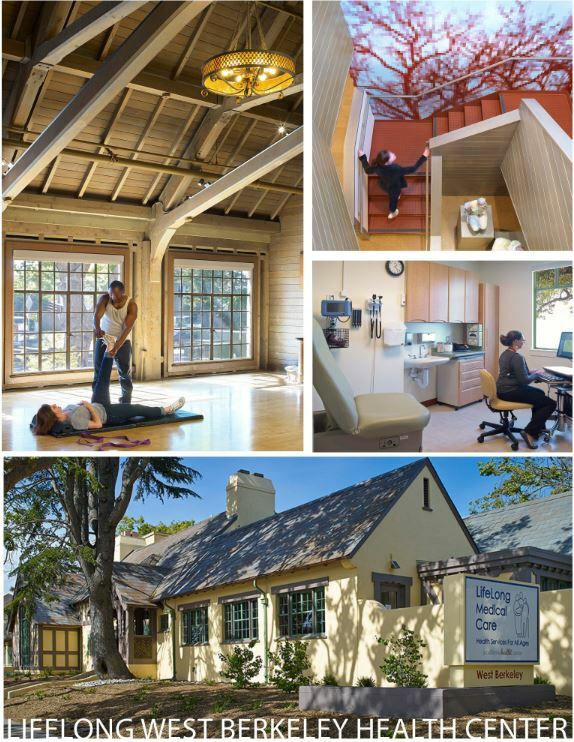 Berkeley Design Advocates is a volunteer group comprised of architects and urban planners in Berkeley, California. Their complete awards brochure is available here.